Black and white. 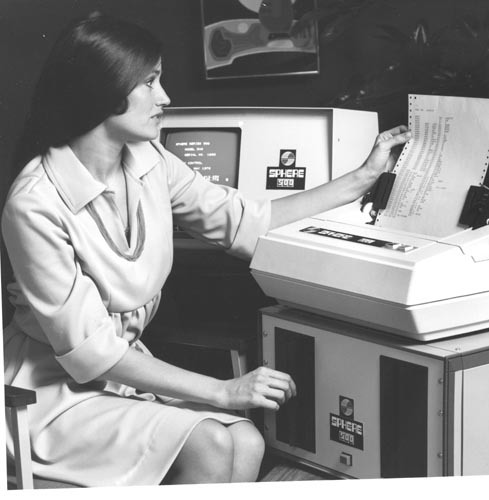 Woman seated holing a printout from printer. Printer is on top of a dual 8" floppy disk device. In the background is display screen. Displayed on screen: " Shpere Series 500 Model 540 Serial No. 1005 May 1976"
Verso Typewritten: "Creative Computing Sphere 540 Catalog"